This equipment adopts D type structure, which improves the work efficiency, and it can be used for pulping waste paper & wet strength paper. D Type Hydrapulper is mainly used to crush pulp board, wastepaper, deinking, and pulp purification. Through dissociating, it can maximum make the paper’s fiber dissociating into fiber bundles or single fibers, while at the same time, it can maximize maintain impurity’s shape and strength. 1. New type energy-saving VOKES rotor strengthens hydraulic circulation and fiber relief. 2. D type structure changes slurry flow ways, make contact between pulp and rotor more quick and frequent. The mechanical action is enhance, pulping time is shortened so that the capacity is improved. 3. Pulp chamber of rotor is higher than the under surface of pulper barrel, form a low pressure area around rotor to collect heavy impurities, reduce wear to cutter head and sieve plate. So that can prolong the rotor and sieve plate service life. 4. Adjustable gap between rotor and sieve plate ensures the pulping effect. 5. 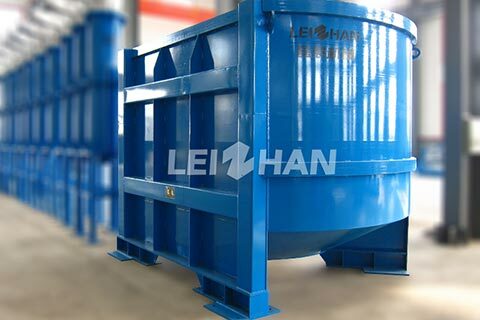 When D type hydrapulper work with hydrapurger, drum screen, ragger, rope cutter and grapple and form continuous pulping and deslagging system, the large light and heavy impurities in pulper can be rejected in time,which avoid pulping the impurities, reduce the following equipment burden. At the same time, it take less time to stop and clean,improve the whole system dealing capacity. The fox rotor off-center, makes the paper materials and rotor contact more quickly, with high frequency. The traditional hydrapulper produce a barrier-free cyclone, sending the waste paper move to rotor center by spiral path form the entrance, while the “D” type hydrapulper has changed the way of flow, make the material contact more quickly with the rotor, and reduce beating time greatly, and improve production capacity in the condition of without increasing the power and volume.